Instagram is more than just a photo sharing platform. People use it market their businesses and build brand image. Although, it wasn’t designed to market your business and was meant for personal use only, however, retailers and marketers have found a way to use it for building a name for brands. These brands even include those business owners who provide eCommerce services. I have compiled few tips in this article that will ensure the promotion of your eCommerce brand. 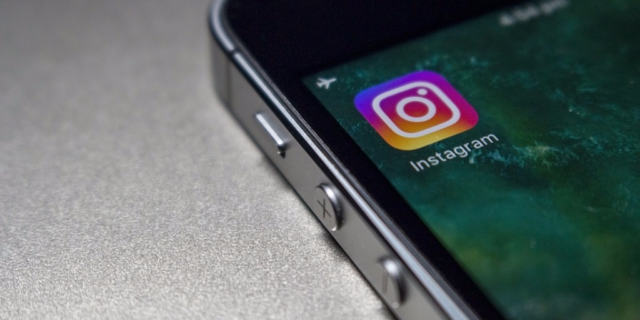 eCommerce sites can employ Instagram by adding a widget on their home page which will showcase the photos taken by customers wearing their brand. You can insert link therein to your item page. Upon clicking to enlarge that photo, visitors will find a link and can land easily on your product page. In addition, online retailers can embed Instagram photos to their photos by the help custom widget creation tools. On Instagram, you cannot insert live hyperlinks with your images as then it would be too obvious. You have to be subtle in selling items listed on your page(s). An ideal way to go about this is by using app providers such as Soldsie that will give your website the look of a sales channel. It enables you to sell via the help of comments on your Insta posts. The tool allows your followers to write in the comments section the word “Sold” by stating alongside the size, the color of the item and leave their email address. Soldsie would then receive the invoice of the product in which the commenter has expressed interest. Resultantly, the details will be sent to the customer on their email and from there on sale/purchase transaction can be completed. Another method of selling is by providing shortened URL links in the comments section whereby a visitor can copy and paste it into their browser to access the product page. You can grab the attention of your followers by uploading an image where a customer can be seen using the product purchased from that online store. For example, Eyeglass adopted this technique. They shared the photo of a customer who was packing items for her trip one of which included Warby Parker glasses. Lifestyle photos by definition mean those photos which pack real-life settings. Many online brands are using this tactic, as an owner of an eCommerce store, you can too. What works, in this case, is followers get to view how a particular item or product can be utilized. A classic example here would be of a clothing brand, Tsuru. What the brand did was share the photo of one of its customers wearing a dress bought from Tsuru store in a party. Same practice was carried out by Incase, designer of mobile protective cases. They shared the picture of a lady carrying a shopping bag with Incase’s protective case easily resting in it. Contests are a great way to engage with your followers on social media. The same holds true for Instagram. Let me explain this with the help of an example. Diamond Candles ran a contest where it featured a ring called ‘ring candle’. To be eligible for the contest, visitors were asked to follow the brand and also tag three of their friends in the comments section. Diamond Candles then chose a winner from these entries who took home the ‘ring candle’. Similarly, many other online retailers such as Iconosquare used similar contests. Oh, and always make sure to use contest relevant hashtags in your photos/posts. Hence, in the ways above you can market your ecommerce brand with the help of Instagram. Nancy Atkinson owns an online store and is a content developer by profession. She can be contacted for assignment help due to her knack for writing.